Birthday parties are usually a source of disdain when it comes to my autistic child. She hasn’t attended many, aside from parties for family members, and to be perfectly honest; I’ve never really gone out of my way to host a birthday party for her. Or at least not in the sense of: theme, inviting classmates, planning kids party activities, etc. 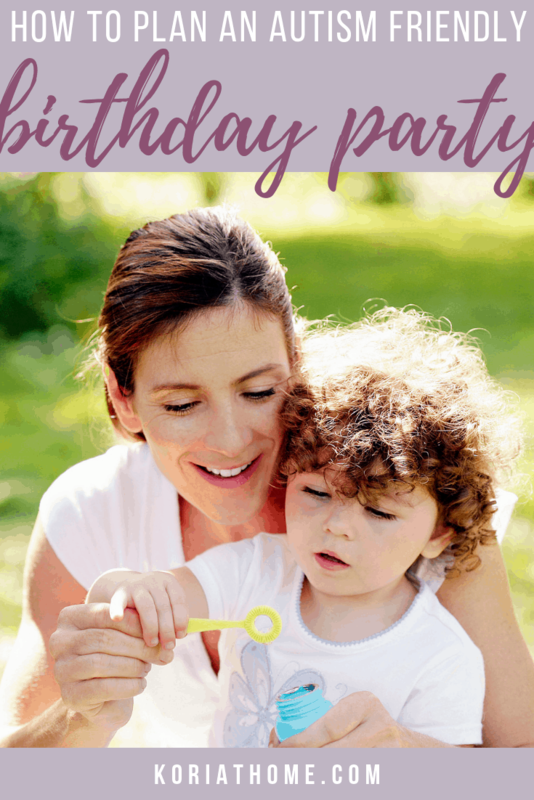 And it’s mostly because of her birthday being in the summer (and the day before the 4th of July) and well, birthday parties are draining for this introverted mom. However, that doesn’t mean that you can’t plan for a fun birthday party for your autistic child, nor should you rule it out completely. 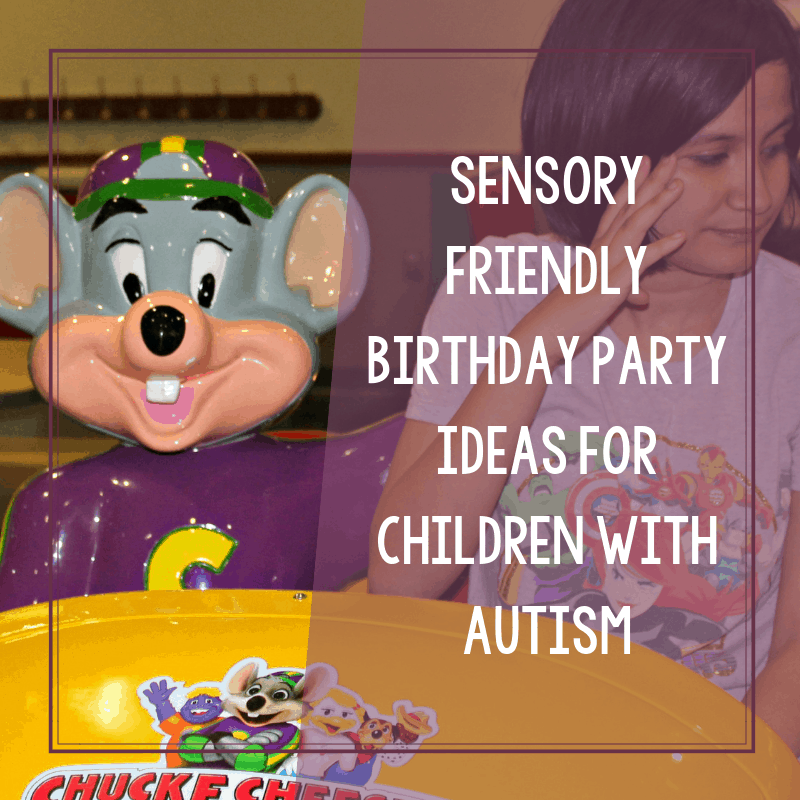 Instead consider a sensory friendly birthday party to make it more of an autism friendly birthday. How so? 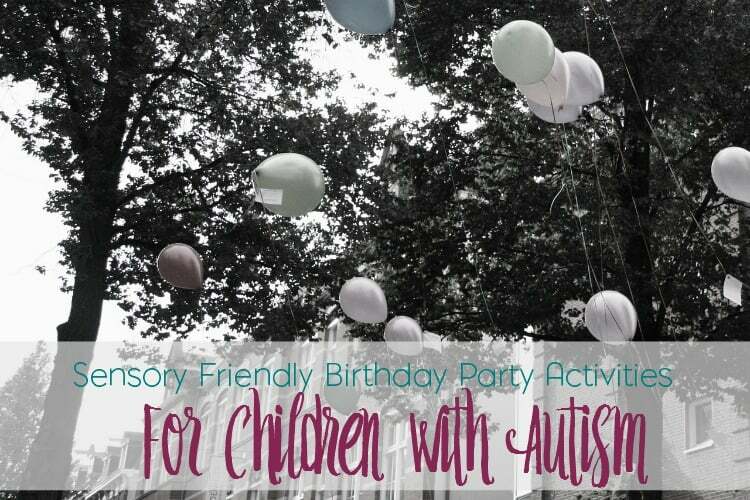 Well, here are a few sensory friendly birthday party activities for children with autism that you can incorporate along with a few suggestions for where to hold this birthday bash if you don’t want to hold it at home (or plan out the activities). First and foremost, I will say this: you know your child best. Depending on the level of functioning of your child, involve them as much as possible when planning this party. That may help to reduce the anxiety that goes along with it for both you and your child. 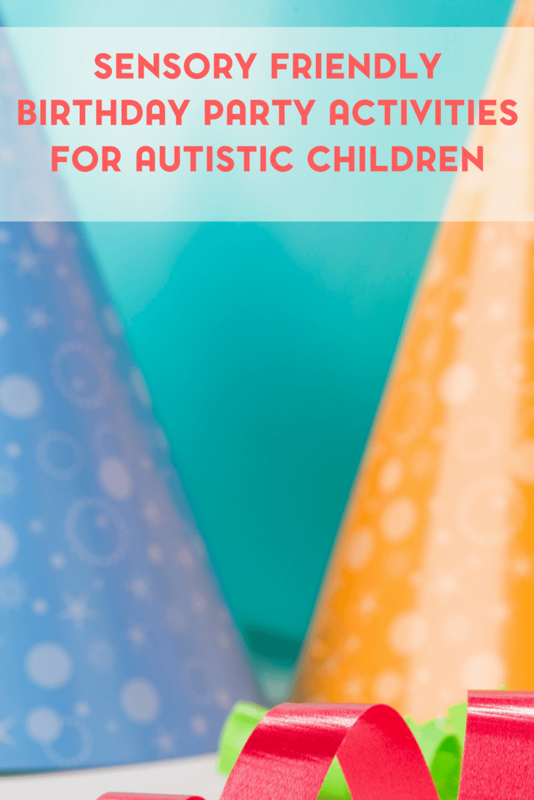 Just use these tips as a general guide of sorts for planning autism friendly birthday parties. Whether it’s for your own child or if you will have guests who are on the spectrum. 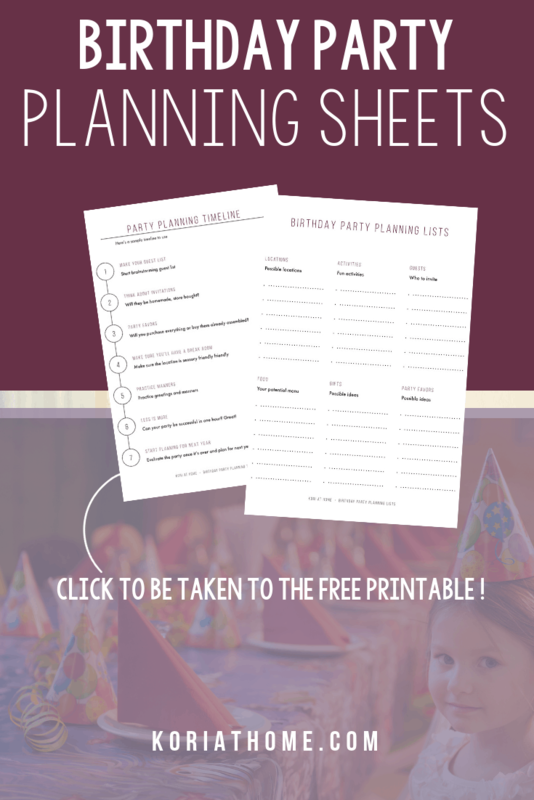 Grab Your Free Autism Birthday Party Planning Worksheets! Click on the image above or CLICK HERE to get the free printable checklists in my subscriber hub. Now, maybe you don’t quite like the idea of having this birthday party at your home. Or maybe your kiddo has decided that they want to go somewhere else. Great! But where to start? I’ll be honest, sometimes going to a location for a birthday party drains me even more than having the birthday party at home. And I’m not on the spectrum (to the best of my knowledge) but I am an introvert. So where can you have this birthday party? Determine that by your child’s interest(s) and go from there. For example, you could do a swimming party at the local YMCA or your local movie theatre might have a sensory friendly movie showing that you could attend. You could try bowling or going to the local park. Indoor waterparks are fun though they can get incredibly noisy. Also do some research of your local area and see if there are sensory friendly gyms. You could also try a trampoline park or local amusement park. Some entertainment areas may have a sensory friendly day. Chuck E Cheese’s, for example, has a sensory friendly Sunday the first Sunday of the month. Or you could try this during the week if you free time in the evening. You can read more about our experience at Chuck E. Cheese’s and how it ended up being a wonderful place to have my autistic daughter’s birthday. The location does not have to be limited by sensory needs but it is something that you want to keep in mind. And I know, you’re probably thinking, “well duh Kori, we know our child best.” and yes, you do. I just think it bears repeating. The time of the year is also going to come into play and it may be a good idea to have a back up location just in case. Now, if you decide to go the birthday party at home route, you can theme it up a bit or just have a general sensory friendly experience. Again, involve your child as much as possible in the planning process. Sometimes, it really does make it easier for everyone involved. You can keep it low key or you can theme it right down to the cake and decor. If you have a child that’s interested in farms and farm animals, you could take a visit to a local farm (depending on the weather) as a part of the party. Or, you can have a farm themed sensory bin. 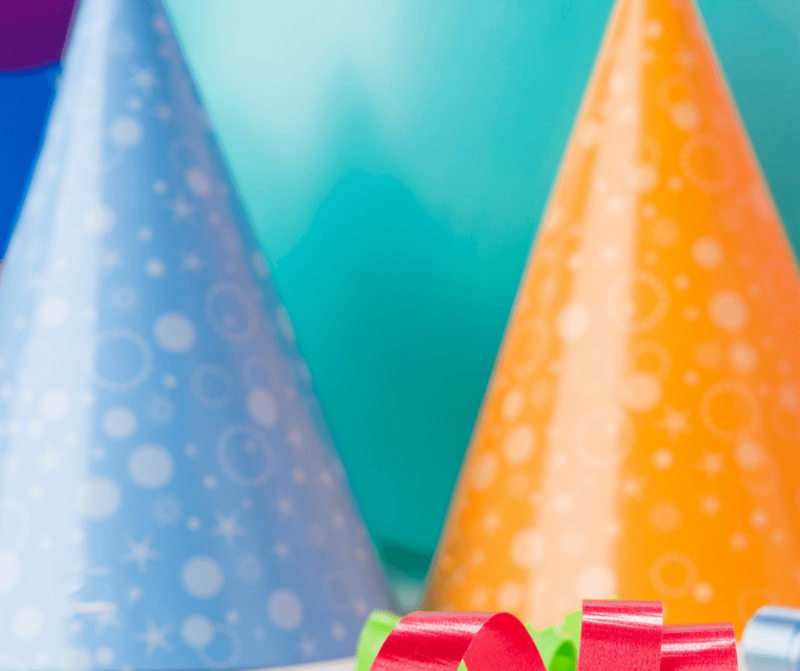 For that matter, you could do an entire birthday party with just sensory bins. For example, a birthday sensory bin or a confetti sensory bin. Sensory bins are a fun way to get hands on without too much mess (depending on the fillers that you use) and are relatively easy to store and set up. For your hands-on sensory seekers, you can also try sensory slime or sensory snow. Sweet B’s PICA is always an issue when it comes to hands on activities and arts and crafts. For that reason, we avoid things like playdough. But, if you have a child that is okay with it; try this birthday party playdough. You aren’t limited, of course, to these types of sensory activities. Fine motor activities are great for some tactile input and just getting out the edible finger paint could be satisfying enough. If you’re still hesitant about planning a full on birthday party, start with something simple on a day off from school. Introduce a few activities to your child and see how they react. If you want to take it a step up, invite a friend over to play. 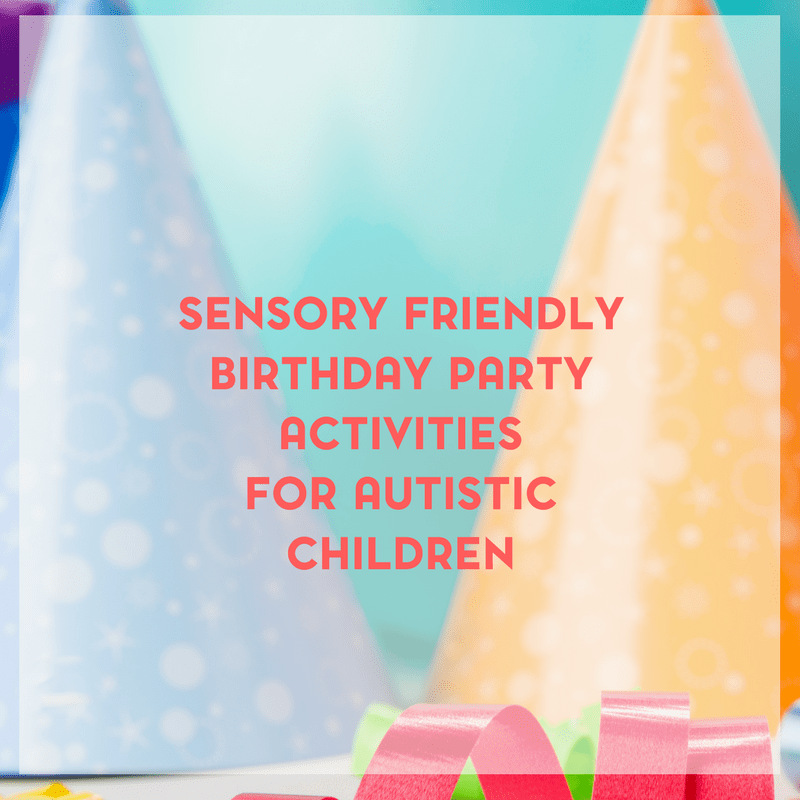 These are just a few ideas and suggestions for sensory friendly party activities for children with autism but they certainly aren’t the end of the list. And, when it all comes to down to it- you know your child best and what they’ll tolerate the most. Be prepared, of course, for meltdowns even with all of your careful planning. You just never know what could happen. Take a look at our best calming strategies for meltdowns. Trust your instincts and I’m sure you’ll come up with an amazing autistic birthday party idea.